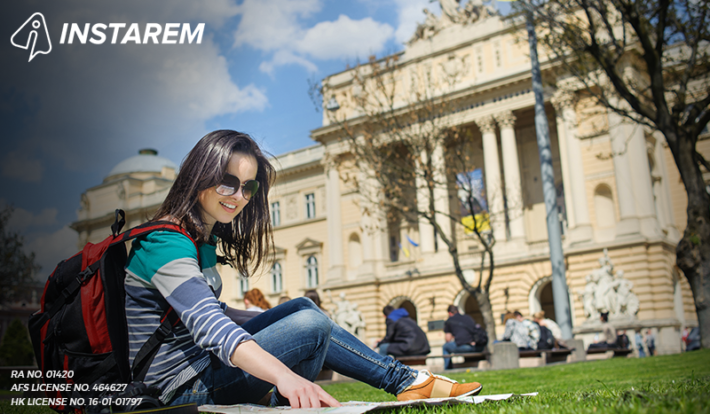 Have you always fancied studying abroad? Is the amount of money involved in getting a foreign degree giving you goosebumps already? Hang on. A little bit of planning, especially when it comes to handling finances while studying abroad, will take you a long way in making your stay in a foreign land comfortable. So how should you plan your finances and what should you keep in mind while you’re struggling your way towards getting that coveted degree? Read on. Where you choose to stay while you’re studying abroad will either make your stay an enjoyable one, or it could prove to be a very distressing experience. Therefore, living with like-minded people who lead a similar lifestyle as yours would not only allow you to wholly concentrate on your studies and perhaps also create long-term friendships in the process. You can either choose to stay on-campus or off-campus. On-campus accommodations are usually considered to be safe and typically comprise of a couple of buildings that house single or shared rooms (or dorms). On the other hand, off-campus accommodation can either be in the form of university-run residential blocks or an apartment building that accommodates international students and run by a third party organization. You can also choose to rent a flat or stay in a paying guest arrangement. Should you arrange for accommodation before moving? With the advent of the internet and social media, the world has come closer, and you can browse through all the options sitting in your home country. Heck, you can even take virtual tours in some cases. However, you need not worry too much about accommodation and though it may sound difficult. Universities are aware of the problems students face when they arrive at an unfamiliar land, and they would be more than helpful in accommodating with the right place. What’s cheaper: On-Campus or Off-Campus? Unfortunately, there’s no straight answer to this. Depending on the country/state/city/area that you live, one may be cheaper or more expensive than another. In some areas, the dorms may be much cheaper than renting an apartment. Living on-campus may allow you to wholly concentrate on your schoolwork but at times it could be significantly more expensive than other forms of accommodation. Given the busy schedules you will face while studying abroad, you may be tempted to eat out at restaurants. If you make it a habit, it is a sure shot way of putting a huge hole in your pocket. That doesn’t mean you have to be a miser. Limiting your eating-out expeditions to once a week or once a fortnight will allow you to sample local cuisine without throwing your budget out of gear. Stick to the low cost menu when you go to a fast food restaurant. So is making your own meals then the most economical option? Perhaps, yes. You must set aside a grocery budget, plan your meals judiciously, create a list of groceries you may require to cook those meals and make a visit to the supermarket to purchase them. Most stores have customer loyalty programs which you should definitely sign up to receive perks. They have fabulous offers such as members-only pricing, members-only shopping hours and birthday bonuses. A local bank account will make managing your finances a lot easier, and you should set one up as soon as you arrive. A local bank account makes sense as it helps you save money on international transaction fees, and in-case you get a part-time job you can deposit your cheques, and also receive money from home in the local account. Should you also get a Health Insurance? Once you reach your institution; you are likely to have a ‘Student Orientation Program’ — one of the key elements of this would be the opening of a local bank account and securing health insurance. Medical emergencies and illnesses cannot be predicted; so in case you are planning to study in the USA or Australia, your institution may mandate that you opt for health insurance. In the UK, you will be asked to register with a general practitioner in your area. The currency exchange value is a very important factor; notice the oscillation of FX rates in the last few years and you will see a huge amount of money can be lost due to FX spreads. You can save a significant amount if you time the currency-conversion charts properly. Remember every cent that you save will help you. Whether you are transferring your tuition fee or to your bank account abroad, it is always advisable to transfer money at real-time FX rates. Can you use your Credit Cards? Always notify your bank when you travel abroad — this is a preventive measure to ensure that the bank does not flag your international purchases via credit card as fraudulent transactions. Be cautious when using your credit card to withdraw money from an ATM. Always verify if special transaction charges will be levied if you use your credit/debit card outside the country of issue. In essence, read the fine-print when you sign-up for a credit card. The cheapest way of going from one place to the other is obviously foot, but unfortunately, it isn’t always possible. However, you must be prepared and plan your journey. Hiring a taxi may be the most convenient option, but it is also the most expensive. You must therefore try and avoid taking one as far as possible. In major cities, the subway is perhaps the best mode of transport to choose. It is underground, extremely quick and very cost efficient. If the subway isn’t your thing, you can always hop on a bus or a tram. Most modes of public transport have a pre-paid monthly pass, make use of one to cut costs. Purchase or rent a bicycle. If your university isn’t very far from your accommodation, this may prove to be an economical and efficient option. You get to stay in shape too. You are going to a new country that has its own driving laws and rules which you may not be familiar with. It is advisable not to attempt to drive a motorcycle or a car, at least for the first few months. Saving an extra buck wherever possible is what every student studying abroad wishes to do. Choosing a bank or credit card wisely, cooking your own meals, using Skype to make overseas calls, making use of student discounts, using public transportation will help you save a lot of money for the rainy day. Accommodation, food, and transportation would consume significant budget for an international student, but fortunately, there are an innumerable number of ways in which you can save money. Following smart banking and saving techniques is all that you require. Put yourself out there, you sure will make mistakes, but at the end of it, you will emerge a winner. Lastly, getting out of your comfort zone and traveling to a different country to study, for sure takes a lot of guts. But years later, it is one decision you would never repent taking. Use your credit card/debit card judiciously; do not default on repayments. If you can find shared accommodation with friends — go for it, and save on rent. Live closer to your campus to save money on travel. Learn to cook food — the taste of food cooked on your own is special. If your university permits — possibly seek a part-time job. A significant part of your studies would involve the internet and a laptop. Invest in a good sturdy laptop. In countries like Singapore; you can get a Student Pass, which gives you discounts on public transport. Wherever possible opt for public transport, which is fast, reliable and on time. Finally, sign up with a reliable and cost-effective overseas remittance firmto ensure you can send or receive money without hassle.